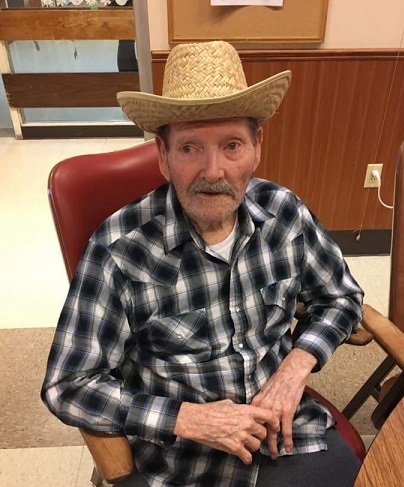 Paul Thomas Burkhart, born May 27, 1927 to Lucien and Dora Burkhart, passed away on Feb. 10, 2018, at the age of 90, at the Tekoa Care Center, in Tekoa, WA. He had been battling Alzheimer’s for close to 10 years. And for the last 2 years he has been in Tekoa, where he received some of the best care that I have ever seen given. In his peaceful passing, he was able to find "home" a place he had been searching for daily for several years due to this horrible decease. Paul was a treasure to all who knew him. He was a very kind, gentle, wonderful man. He was hard working and self-taught. His love for his family and life shined threw in all he did. His passionate love for music rang out every time he picked up that ol' Gibson guitar. He also enjoyed working with wood, and his lawn and garden were his pride and joy and it showed. There wasn't anything he couldn't grow or build. He left behind his loving wife of 63 years, Shirley L. Burkhart of Kettle Falls, WA; Son, Allen P. Burkhart of Lakeview, OR; Daughters, and Cherity E. Burkhart of Colville, WA, Evelyn L. Burkhart of Montrose, B.C., and Karen K. Barnhart of Colville, WA. He had 11 grandchildren, and 13 great-grandchildren, with two more on the way. He was a great husband, a wonderful father and friend. He was loved by all and will forever be missed.